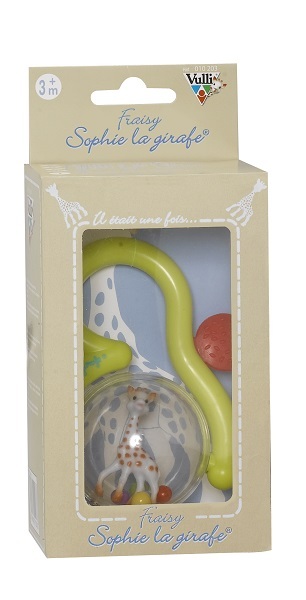 Perfect for teething babies discovering how to use their hands! 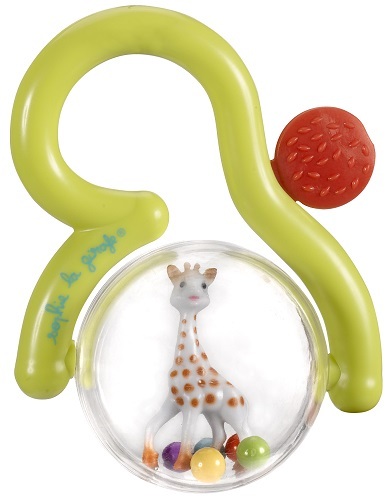 The Fraisy Teething Rattle's handle provides an easy grip so baby can spin the ball and watch the colourful beads rattle around. The red strawberry on top of the rattle is made from a softer material, ideal for baby to chew on for some gum relief.